The vast majority of those who call themselves evangelical Christians believe that the Church of Jesus Christ has been predestinated by God to fail in history. “It cannot possibly succeed!” Millions of Christians believe that the Church will be “raptured” soon, removing Christians from the turmoils and responsibilities of this life. Two centuries ago, Protestant Christians believed that they would die before Jesus came back to earth. This affected the way they thought, prayed, worked, and saved. They built for the future. They were future-oriented. They were upper-class. Today, many Protestants believe that Jesus is coming back soon, so they will not have to die. This belief affects the way they think, pray, work, and save. They are present-oriented. They are lower-class. 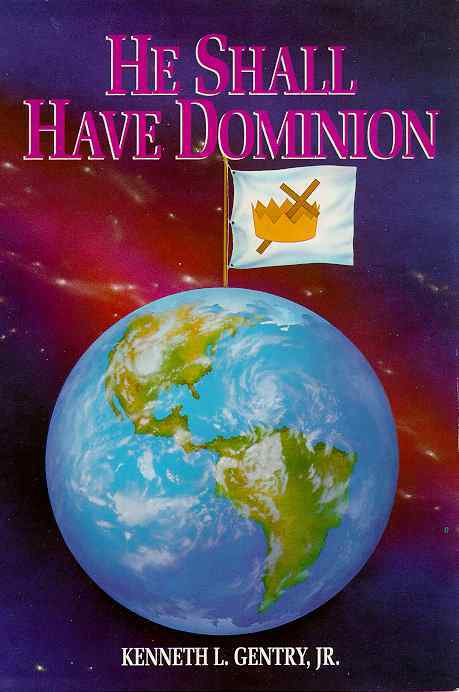 He Shall Have Dominion refuted this outlook, verse by verse. Most Protestants today believe that Jesus cannot rule successfully through His people in every area of life until He returns to earth bodily and sits on a political throne in Jerusalem.